How would you like to earn an extra 15 – 20% return every month trading with our Forex Managed Accounts? Interested in forex trading but don’t know where to start? Looking for a ‘plug-and-play’ solution that requires little to no trading experience? You’ve come to the right place. Forex Lens offers the world’s best forex managed accounts service, working with the most reputable professionals, independent day traders, account managers and proprietary trading firms from all over the world, with trading strategies that offer aggressive profits with strict risk management. For as low as $1,000 USD today, you can participate in an FX managed account with big institutional investors and start earning profits without any FX trading experience whatsoever. In return for managing your account, we’ll be compensated through a profit-sharing structure where we only earn money when you make you profits. Your funds are 100% safe and secure with our trusted broker. 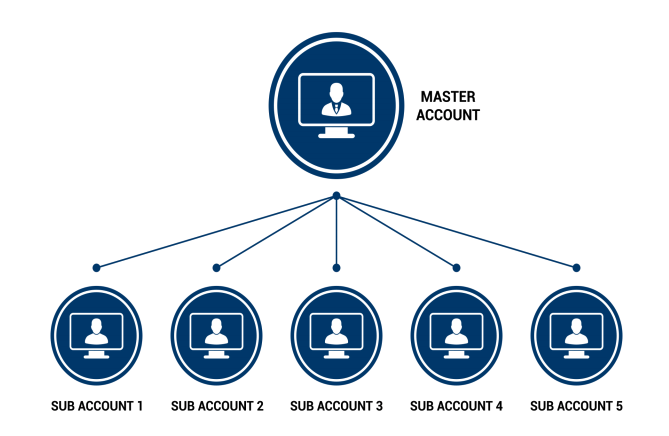 Our account managers will only gain trading access to your account. Only you can withdraw funds, and may do so any time as you wish with no restrictions or commitments. Our trusted broker FX Choice will handle all the trust issues that you would experience with other managed accounts. It’s no secret that 90% of all day traders fail. Why? Because most traders come in thinking they will get rich overnight. Then when they don’t, they quit and become another failed trader. Day trading requires a tremendous amount of patience, determination, and commitment to learn, and a one must have a huge tolerance for pain to succeed in this industry. Can you afford the time or capital required to learn how to trade for yourself? If you’ve read up to this point, it means you probably may not have that luxury. Perhaps you’re just looking to diversify your investment portfolio. Nonetheless, it means you’re looking for more options. They say wealth is not about having lots of money, it’s about having lots of options. Option 1: Give up on your dreams of becoming a profitable trader in the forex market, but let’s be frank.. you wouldn’t be reading this if you’re ready to give up. Option 2: Learn how to trade on your own, and go through the pains of becoming a profitable trader. This requires a tremendous amount of patience, dedication, and equity – often times over $5000. Option 3: Register with our Forex Managed Accounts and let our account managers trade for you. No need to look at charts. Continue on with your busy life and simply monitor your trading performance from a distance and watch it compound for higher gains. Did you know your money actually depreciates in your bank account due to inflation? Even if you leave your money in the S&P 500, your long-term average monthly gain is only +0.91%. How is traditional investing working for you? Perhaps it’s be time to try something new? Perhaps it’s time to take on some calculated risks. Take a look at the MAM and PAMM Programs that we offer and you’ll realize very quickly that we are the better option. Open an account now and speak to our live chat agent.